LeBron James‘ Nike Soldier 12 silhouette returns in an all-new “Land and Sea” variation just in time for the upcoming fall season. This time around the King’s signature shoe takes on earthly greens and olives for its Battleknit upper and straps while the toe box features military-inspired logos embossed throughout. Finally embroidered Swooshes adorn the straps while an off-white midsole and gum sole round out the shoe’s overall look. 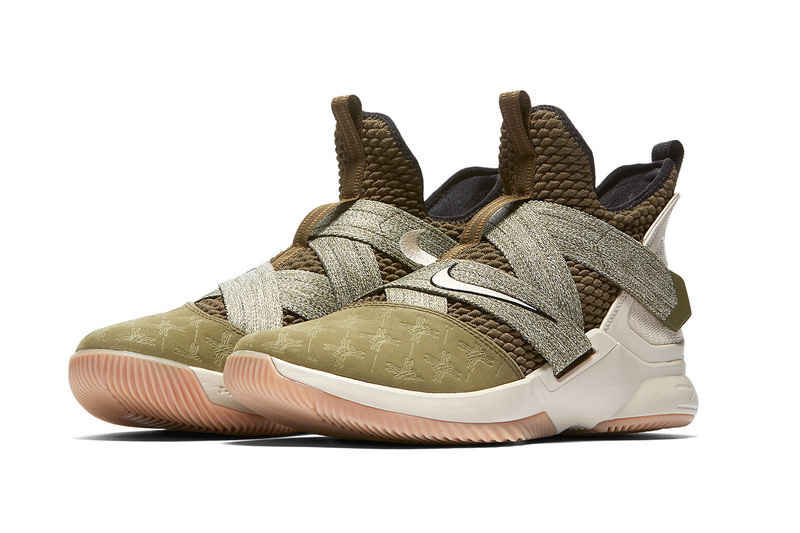 Acting as one part of the upcoming “Land and Sea” pack, look for this olive green pair of Nike LeBron Soldier 12s to hit select retailers and Nike.com in the upcoming weeks for $130 USD. In more footwear-related news, DeMar DeRozan gives fans a sneak peek at Kobe Bryant’s upcoming signature sneaker. Here's Where You Can Cop the Air Jordan 4 "Raptors"
Nicki Minaj Enlists Nas for the Reggae-Inflected "Sorry"
A song that was left off her ‘Queen’ LP. Part of an upcoming hoops-themed “Rivals” pack. The latest in Nike’s Kobe A.D. series.